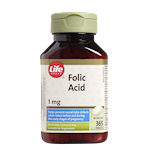 As one of the B vitamins, folic acid, also known as folate or Vitamin B9, is an important factor in the maintenance of your health. Very important in pregnancy, it helps prevent neural tube defects when taken prior to becoming pregnant and during early pregnancy. Preventing neural tube defects is vital for normal development of the fetus. 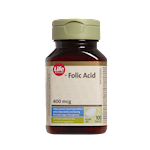 To make supplementing easy, Life Brand Folic Acid tablets provide 1 mg of folic acid in a convenient tablet form. 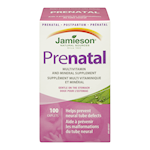 Helps prevent neural tube defects when taken before and during the early stages of pregnancy. Helps produce red blood cells. Microcrystalline Cellulose, Dibasic Calcium Phosphate Dihydrate, Vegetable Grade Magnesium Stearate. 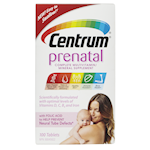 This product contains 0.8 calories and 0.03 mg of sodium per tablet. No gluten, lactose, soy, sulphites, yeast, preservatives, artificial flavours or colours. Suitable for Vegetarians. Keep out of reach of children. Consult a physician if you think you may have a vitamin B12 deficiency as folic acid supplementation can mask such a deficiency.